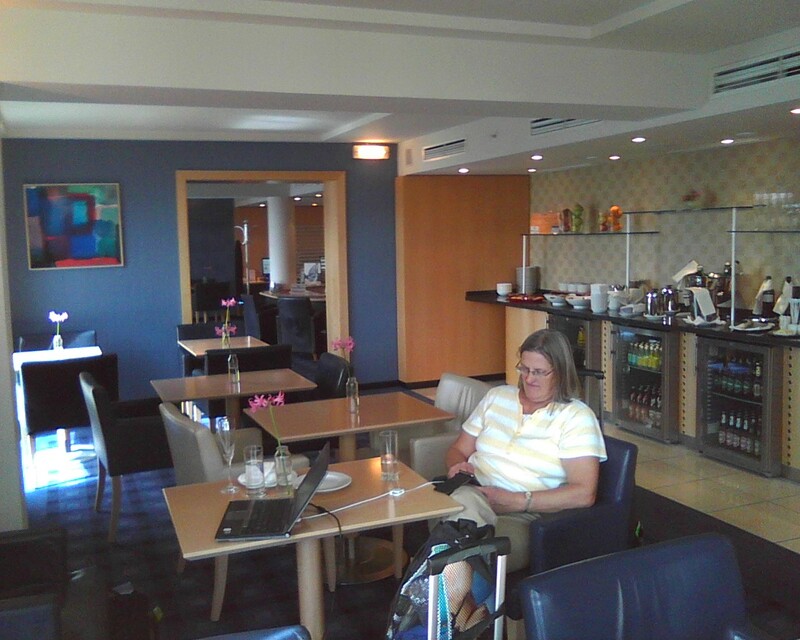 We're sitting in the Executive Lounge of the Hilton Stadtpark awaiting our room. It's quiet here in the middle of the day. Our flight on OS (Austrian Airlines) was fine, although not nearly as roomy in Row 18 Y compared to bulkhead C on our UA 767 IAD-ZRH. It's always impressive to fly a European carrier on a one-hour flight and be served food, in this case a decent half-sandwich of cheese and meat served on wonderful Austrian dark bread. We caught the S-Bahn from the airport to the stop about 50 meters from our hotel. There's also a CAT (fast airport train) that costs more Euros but we weren't in that much of a hurry. None of these options was available at VIE a few years ago. The taxi drivers probably aren't happy but travelers are. Since it's now well past the 24-hour point that the alarm awakened us in Seattle, we think it's time for a little nap before possibly venturing as far as Grinzing later this evening. Ah, Vienna. It's great to be back. We haven't been to Austria since 1973 but we loved Vienna and Salzburg and want to return someday.